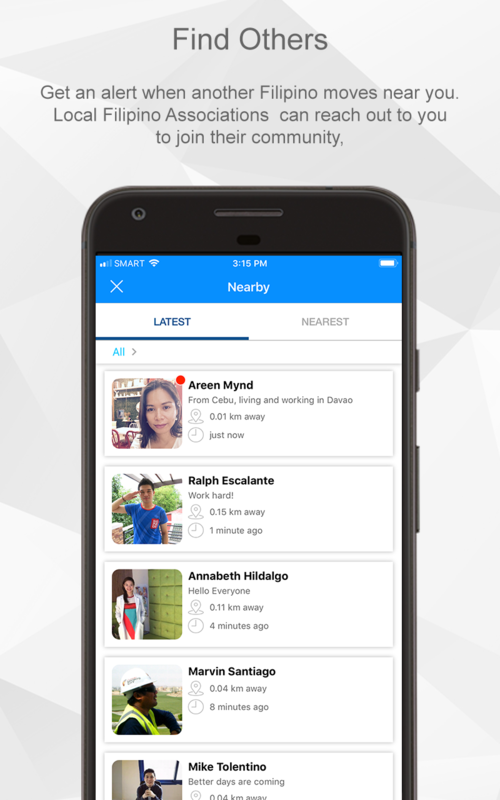 OFWwatch will alert you, in complete privacy, if an OFW near you is in trouble. You are NOT alone. We will recommend a course of action for you to take, such as contact the local authorities. You will decide in complete privacy and anonymously if you can act. The course of action will NEVER involve financial assistance. 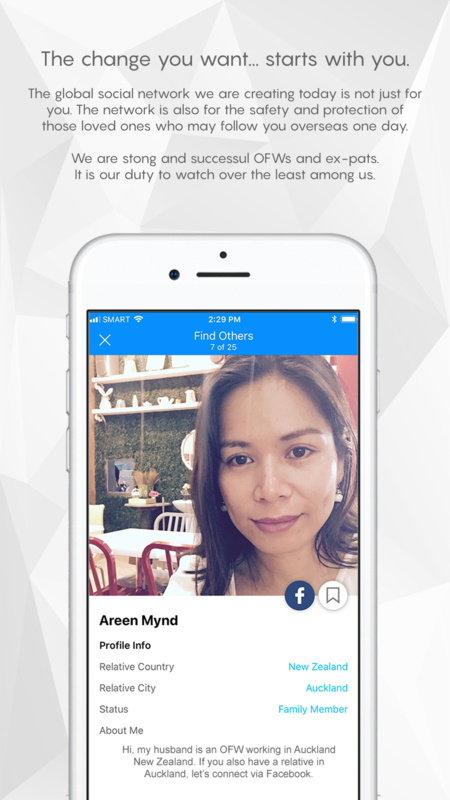 In return you get a great app to make life as an OFW or ex-pat easier. 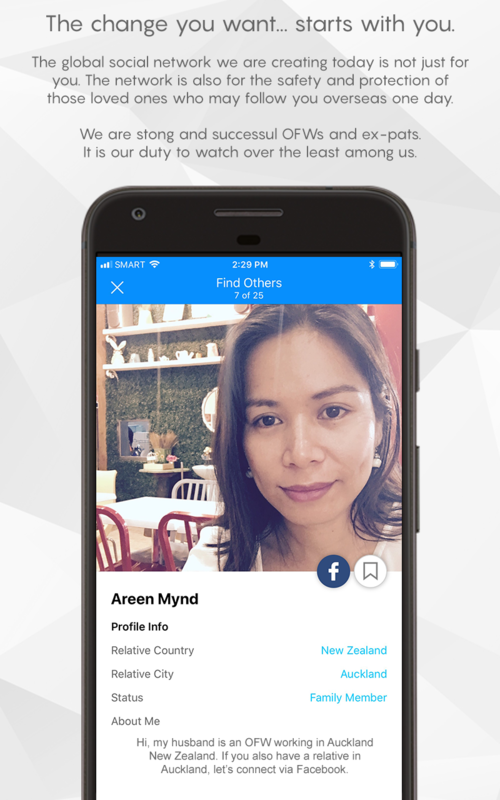 We connect you to other Filipinos in your area who share the same dialect, hometown and profession. A web version of OFWwatch is also available. The Philippines may be a nation of migrant workers, but we are NOT a nation of helpless victims. OFW Watch empowers the strong to watch out for the most vulnerable among us. No matter where in the world we are located, there are hundreds if not thousands of successful Filipinos nearby. The Philippine BPO industry has created over 800,000 jobs. What does that really mean? It means... 800,000 mothers, fathers, sons and daughters who will stay home in the Philippines, instead of being ripped from their families and shipped overseas. As a developing country, the Philippines is a nation of migrant workers. At any given moment there are over 10 million of us working overseas as Overseas Filipino Workers (OFW) or expats. I know, because I spent 20 years working overseas to save my own two daughters from poverty. When you outsource a job to the Philippines you are doing more than just saving money. You are helping transform a developing nation. Thank you. OFW Watch is a community service initiative of Mynd Dynamic Team, Inc. of Davao City, Philippines. 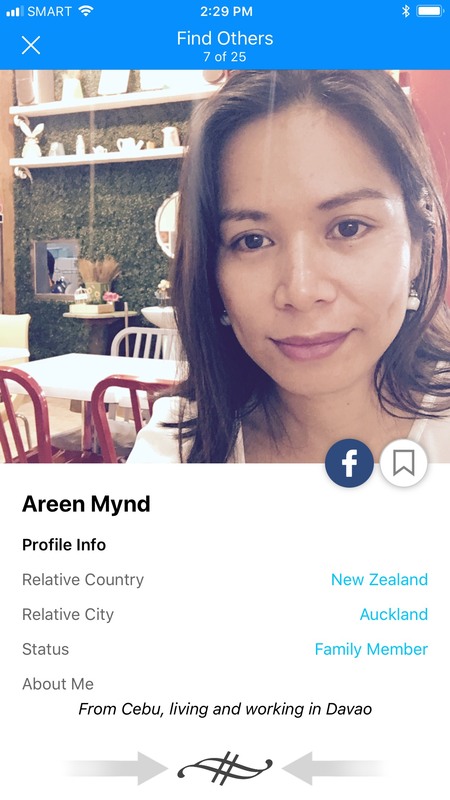 Mynd is a Business Process Outsourcing (BPO) company founded in 2006 by a former OFW, Ms. Myrna Padilla. Below is an abbreviated version of Myrna’s critically acclaimed speech to 400 international executives at the 2011 International Outsourcing Summit. The speech received the first standing ovation in the history of the conference. As an OFW for over 20 years, Myrna spoke about the life of the OFW the founding of Mynd and the importance of heroically giving back to those less fortunate than ourselves. This is humbly shared not to be boastful or arrogant, but so everyone knows the motives of those behind OFW Watch. As former OFWs, we are tired of being treated by others as milking cows. We are tired of people thinking of us as helpless victims. The vast majority of us are the exact opposite of helpless. We are successful, strong and making valuable contributions to the communities we serve. The real solution to poverty in the Philippines is jobs so our people do not have to become migrant workers in the first place. Every job we create means another family who will be kept intact. We are experts in mobile development, .NET and PHP programming, as well as, WordPress/BuddyPress and the plugins they require. We also have Virtual Assistants available. 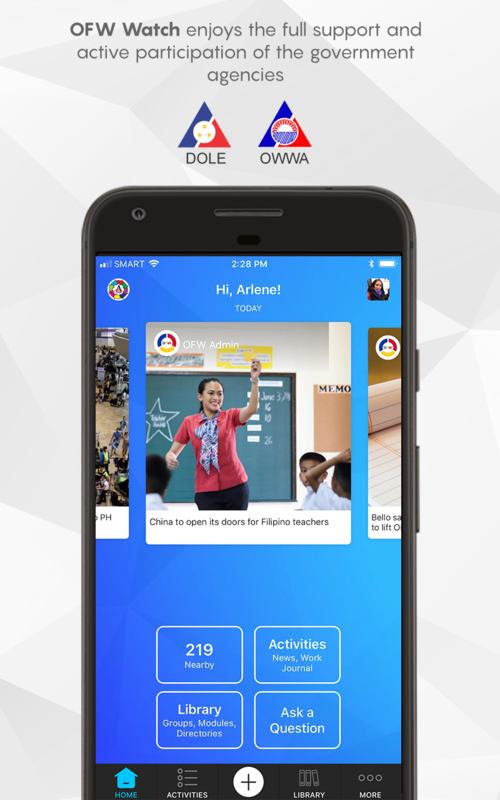 It is an online question and answer portal developed by the OFW Watch development team where OFWs can share their thoughts and insights about a variety of subjects including labor issues, recruitment agencies, financial matters and even personal problems. You can ask questions and you can also help your fellow OFWs by answering some of their questions. Our team has compiled the contact details of authorized offices, departments, agencies and non-government organizations (NGOs) around the world. We have also just started adding business addresses that OFWs may need. You can help us by checking and confirming if these addresses and contact details are correct. 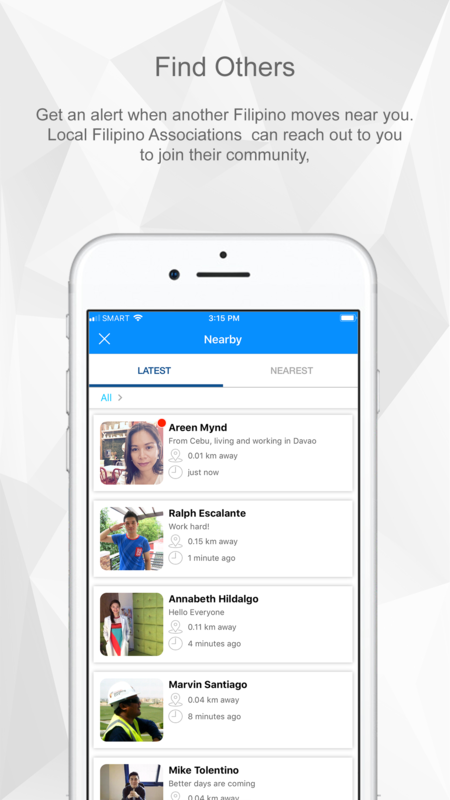 We are inviting OFWs and expats on a daily basis to increase our network. 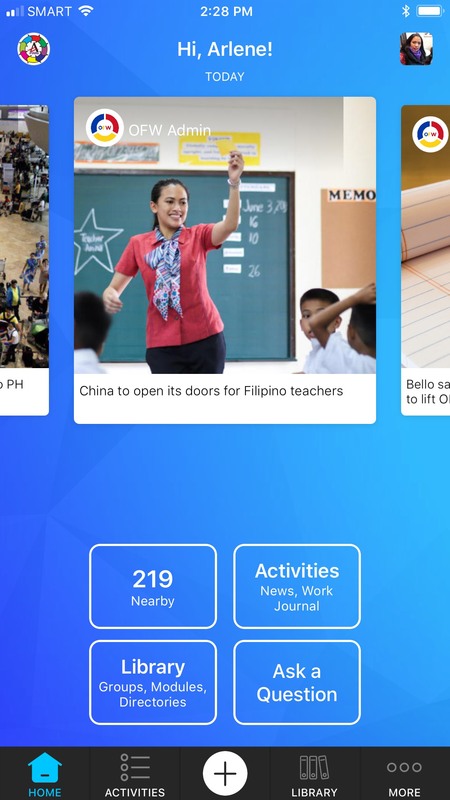 This is because we would like to connect all Filipinos worldwide and practice the art of crowdsourcing - and we all can do this with the power of today’s technology. 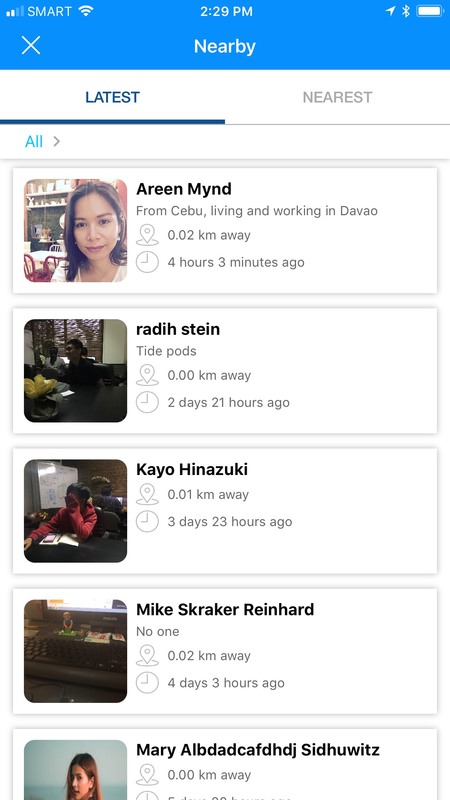 OFW Watch is a team of citizen journalists and we also want you to do the same. Everyone is most welcome to share news, videos and photos in their respective public and private groups inside the OFW Watch website. One way of helping an OFW in distress is through reporting it. 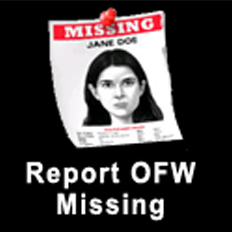 Report a missing or abused OFW by filling up a form on our website or through our mobile app. 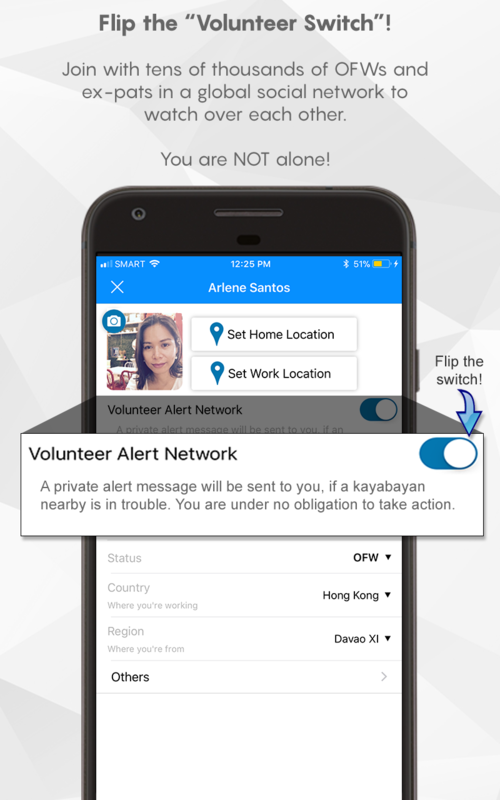 On your profile, you may choose to be alerted whenever an OFW near you is in trouble. We will recommend a course of action for you to take, such as contact the local authorities. You will decide in complete privacy and anonymously if you can act. The course of action will NEVER involve financial assistance. 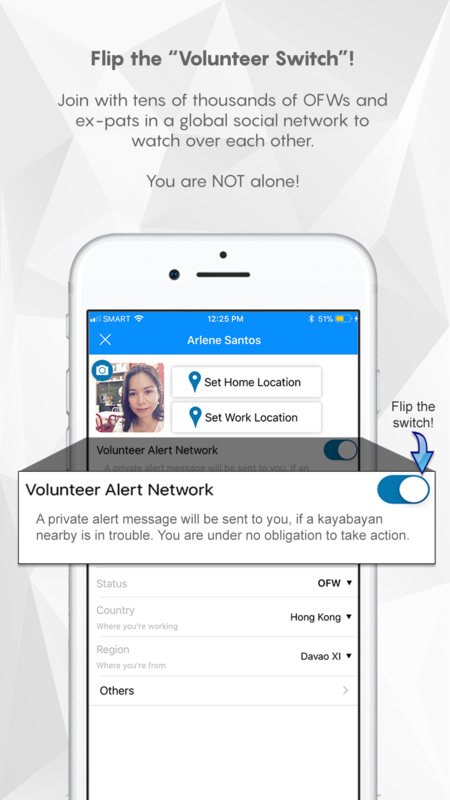 We will alert you via a private message, if an OFW near you is in trouble. 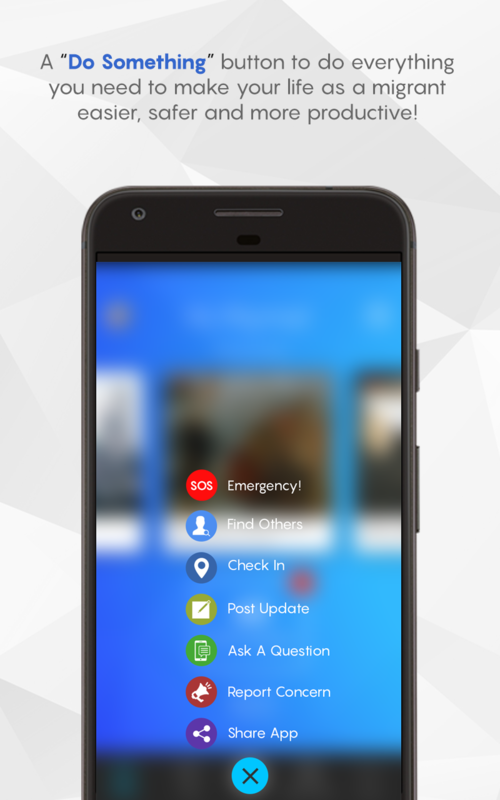 The alert will come with a recommended course of action. You will decide, in complete privacy, if the recommended course of action is for you. The course of action will NEVER involve a request for financial help. We are already treated like a milking cow by almost everyone. We will NOT allow that to happen here. In return for registering, we will give you a FREE library of online services to help make your life as an OFW or Expat easier. This is our way of giving back as part of the Philippine Business Process Outsourcing (BPO) industry. I am safe already… Why is this important to me? The abuse suffered by migrant workers could easily happen to those who may follow you overseas in the future. A brother, a sister, a niece or nephew… a son or a daughter. In every case, the abuse happens to someone who is loved. The reality is… there are ten million of us working all over the world. No government agency can effectively watch over such overwhelming numbers. However, social media thrives on overwhelming numbers. We must use this fact to watch out for each other. There is really no other way. We must help ourselves. Please register your Facebook account. 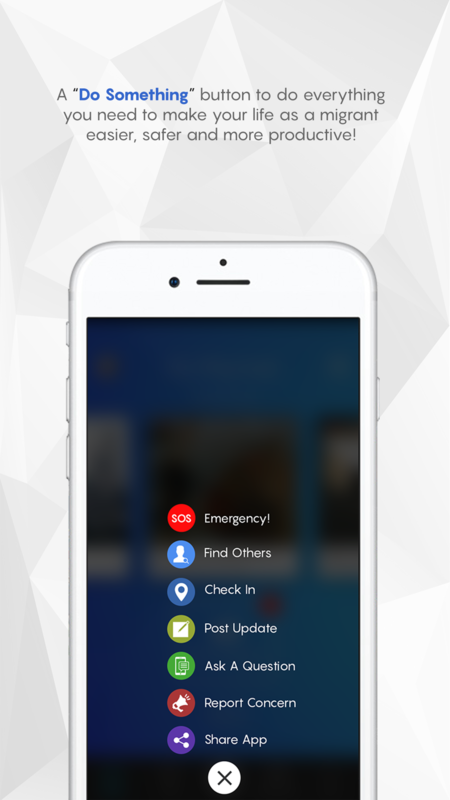 The concept behind OFW Watch is simple… we are NOT helpless. The Philippines may be a nation of migrant workers,but we are NOT a nation of helpless victims. We are successful, strong and technically savvy. Together, we account for over 20 million Facebook accounts. The evils of human trafficking and modern day human slavery happen in the dark. Darkness falls upon the migrant worker when their communications with the outside world is cut. It is time for the strong OFWs among us to stand up for the weak! Do you think you might know a victim of human trafficking? If you believe the individual is a victim you must alert the proper officials. Contact the local police station or country’s human trafficking hotline. There is a complete list of human trafficking hotlines listed by country in the Resources Section above. Or Contact OFW Watch. You can email us at ofw@ofwwatch.com with enough details for us to take action on behalf of the suspected victim. We will take it from there. Please include your phone number or email, in case we need additional information. Fighting for the Sisters We Left Behind. As a young girl, I was the victim of human trafficking. Today, I own an Information Technology business called Mynd Consulting. Along the way, I spent 20 years working as a domestic helper and nanny in Singapore, Taiwan and Hong Kong and became involved in community service by founding the Mindanao Hong Kong Workers Federation. Today, I am a woman weaving the web. My advocacy is to empower millions of the most vulnerable women among us to join in the world’s fight against human trafficking and modern day human slavery. Forgive me for telling such a long story, but to understand my advocacy, it will help to understand how I got here and why a woman, now empowered with technology, is compelled to fight on behalf of the sisters she has left behind. 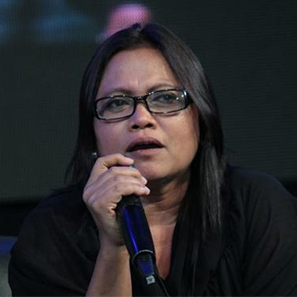 I am Myrna Y. Padilla, a proud woman of the Masa. I was born to the poorest of the poor in a small, undeveloped fishing village on an island of bohol in the Philippines. I have only one picture of me and my family when I was a little girl. I will attach it to this post. We are standing in front of a small bamboo hut. The hut was my childhood home and located just a few meters away from the Bohol Sea. I am standing to the left of my mother and wearing one of the finest dresses I have ever owned. It was made with a mother's love from a flour bag bleached white. Some of my earliest memories are the tears in my mother's eyes when we would go to bed hungry. I know from personal experience the ugly face of poverty. By the time I was 10 years old, to help feed my family, I was diving alone in the sea to hunt for fish using a spear gun made by my father from an old umbrella. For money, I would dive for seaweed to sell in the market in the nearby town of Loboc. When we would go into town to sell our seaweed, the old women would tease me. I still hear them saying, no one would ever marry such an ugly little girl. Diving in the sea under the hot sun made me so dark. And bathing in the salt water would leave white patches on my skin and frizzle my hair. I was pitiful looking. Out of respect for my elders, I never fought with the old women of the market stalls. Instead, I learned to make them smile by singing and talking and joking with them. Over the years, I gained their respect and by the time I was a young teenager, I was even called upon to speak on their behalf. The town children were like children everywhere. They can be so cruel to those who are different from themselves. And we were different. We were village people. Even though they were poor, we were the poorest of the poor. As the eldest, it soon became my job to protect my younger sisters. There was no singing. I learned to fight. And the town boys soon learned, I was deadly with a rock at 20 meters. And, believe it or not, by the time I was a young woman, some of those town boys proclaimed their love for me. There was only one way for a child to sell seaweed in the market without the capital for a stall, you had to be a street vendor. A street vendor cannot be shy. You have to be fearless. I learned to talk with strangers. Make them smile. Sing them a song. I soon learned that I could make more money singing than selling seaweed. I started singing in competitions at local festivals. It was after one of these festivals that I was approached by a “Recruiter” from Manila. She told me the same story that a thousand young girls have been told. She told me I was beautiful. She told me I was special. She told me I could get a job singing in Japan. She told me such beautiful lies. Finally, she told me something I wanted desperately to believe. She told me I could help save my family from poverty. She gave me hope and a dream and I found myself believing in her with all my heart. Because I had nothing to wear suitable for the city, my father gave me his best pair of pants and his best shirt. They were far too big for me, but I felt so safe wrapped inside them. I went with her to Manila wrapped in my father’s clothes. In Manila, I soon discovered I had misunderstood everything. Before she could arrange an audition for me to go overseas and sing in Japan, I had to first pay off “my debt”. She had gone through so much trouble to get me there. There were transportation costs. And “recruitment” fees. And singing lessons.And she had to feed me. At that moment, I thought I understood everything. I reached out and took her hand, bowed and gently place it to my forehead in the traditional of my tribe as a sign of respect. Then I kissed her hand softly and vowed to be the hardest worker she ever had. I would repay my debt. I was so deeply grateful and I was so naïve. She had given me hope and a powerful dream. I would save my family from poverty. I spent the next year working as a slave (there is no other word for it) washing cloths by hand. Twelve hours a day. Seven days a week. No day off. No pay. No singing lessons. They never beat me, only because they quickly learned I would fight back. And I was obedient and never complained. The hard work meant nothing to me. I had long become use to it. I practiced my singing while I washed the clothes and I dreamed. Soon I was joined by a young girl named Ling Ling. Four years younger than me. She was from the mountains above my fishing village and we spoke the same dialect. We became best friends. We laughed so much. And night after night we shared our dreams. I would become a singer in Japan. I would save my family. No one would ever go to bed hungry again. As strange as it may sound, I never felt despair. In the years since, I have often wondered how a slave could have joy in her heart. I now know why and it has become a core part of my advocacy. In the Philippines, we call it “pag-asa”. In English you call it hope. When you give people hope, even a slave can sing. After almost a year, my chance finally came. The recruiter had set up an audition. Ling Ling wished me luck. For the first time in almost a year, I walked out of the compound. We went to a nearby building and through a back door. A young Filipino makeup artist was waiting for me. He fixed me up and had me dress in a beautiful gown. But there was no bra and my bare back was showing. I was so uncomfortable, but he assured me everything was ok. I was an entertainer. My recruiter led me out onto a small stage surrounded by a group of men. She explained the men were my “judges”. Even though I had never seen the inside of a nightclub, I knew in my heart, something was wrong. But I wanted so badly to believe in dreams that I took a deep breath and sang my heart out for them. I sang Frank Sinatra’s “My Way”. Half way through my song, one of my “judges” came up on stage. He ran his hand down my bare back. I knew at that moment that my dream of saving my family from poverty was lost. I knew then exactly what was expected of me and I did what came natural. And it was not a little girl’s slap. It was a hard woman's slap delivered with the force of a girl whose first job was pounding rice at the age of nine. It was the hard slap of a girl who had been diving alone in the sea forever. It was the hard slap of a slave who had been washing laundry seven days a week for almost a year. It was a slap that stopped the music and sent the old man staggering; sent my recruiter screaming and sent me running. I grabbed my father’s clothes, ran back to the compound. Said goodbye to Ling Ling and ran away. I found my way to an old church in Baclaran, where I spent my first night free, broke and homeless. And for the first time since coming to Manila, I cried. And for the first time in my life, I felt worthless. When you are born to the poorest of the poor you stop crying very early in life. Everything is hard. Life is hard. But this was different. When you are poor, it is rare to have a dream you can almost touch. That night I cried hard for a shattered dream. While I sat there in the church crying, a young woman came to me. She could tell I was not from Manila by the way I was dressed. She sat down by my side and began to comfort me. Her name was Ponyang and she was a domestic helper. She cried with me. After sharing my story with her, she suddenly stopped me; she took both my hands and forced me to look into her eyes. She gave me the name of a bakery and told me exactly what I needed to say and do to get a job. We both stopped crying and started laughing. It would work. I knew it would. Ponyang, the domestic helper, had given me hope again. That morning, I went to the bakery and declared to the bakery owner, “I will be the best street vendor you ever had.” Then, instead of shouting out “pandesal” (bread) like the other vendors do, I sang it out as loud and as beautifully as I could. He laughed so hard, but hired me on the spot. I walked the streets of Manila along Airport Road with a basket of bread on my head, wrapped in my father’s clothes and dodging my old recruiter and her boys. The job was no different than selling seaweed in the market back home. I was good at it and I did become the best street vendor that bakery ever had. A few days after escaping, my friend Ling Ling found me. She had been badly abused. They had forced a hot boiling spoon of rice into her mouth as punishment. I refused to let her go back. I helped her find a place to live until she could return to her family. Looking back on it now, my advocacy began that day. And now that I am older, I shudder at the thought of what could have been. My heart breaks at the thought of the millions of girls who have “recruiters” far more brutal than mine and who do not have the option of fighting . I was so lucky. I now know the Church of Baclaran, where I met Ponyang, was open that night to serve the workers and patrons of the red light district. It is known as the Church of Miracles. My miracle was to be saved by a simple domestic helper who took pity on someone less fortunate than herself. Ponyang’s small act of kindness saved me from despair. Her character and willingness to help someone less fortunate than herself, despite her lowly position, was far nobler than most I have known. Without getting into details, I eventually found myself in a failed marriage to a good man. We were both victims of our traditions and I suffered from the violence imposed on an independent woman who never learned her place. From that marriage, I was blessed with two beautiful baby girls. Any dreams I had for myself were quickly replaced by dreams for them. Even though I had never graduated high school, I knew the path out of poverty for my two girls was an education. My dream for my two girls was that they would one day graduate college. I knew I could not fulfil that dream working as a street vendor. So, like many other women born into poverty in the Philippines, my only chance to fulfil those dreams was to go overseas to seek employment. I became a migrant worker, what is known in the Philippines, as an Overseas Filipino Worker (OFW). The Philippines is a nation of OFWs. There are over ten million of us scattered all over the world. Ten per cent of our population work abroad. I travelled first to Singapore, then Taiwan and eventually Hong Kong. I will not focus on the indignities and the abused heaped upon women in my position working as a domestic helper. I have slept on unheated kitchen floors in the dead of winter and eaten scraps fit only for a dog. But no abuse, verbal or otherwise, remotely compares to the pain and anguish of a mother separated from her children. That is the terrible price millions of women have paid to save our children from poverty. Poverty is a cruel and harsh master. After almost 12 years of working overseas, I finally found a boss in Hong Kong who was kind to me. Over the years, I earned the family’s trust and respect, and in return, they earned my undying loyalty forever. I became part of that family. They entrusted me to raise their son. His name was Jonathan. He had just got a new computer and part of my responsibility was to make sure he did his homework and not play games. It was young Jonathan, an eight year old Chinese boy, who taught me how to use a computer. It was also while working for this family that I became active in community service. In 1999, I founded the Mindanao Hong Kong Workers Federation (MinFed) and I was fortunate to serve as Chairman for 8 years. Eventually I began applying technology to the operation of MinFed. However, it was when I began using the internet that I began to fully understand and appreciate that people could perform services without the need to leave home. For those of you who have never left your children behind for 5, 10 or 15 years you have no idea how powerful a concept that is. I was a transformed woman. In Hong Kong, the Mindanao Hong Kong Worker’s Federation would gather in the park on Sunday. Our only day off. There, we would conduct our meetings and part of my responsibility as a leader was to listen to my members, listen to their complaints and listen to their stories. Some of those stories broke my heart. I cannot count the number of nights I lay in bed crying. Sometimes I cried for myself and other times I cried for my members. But because of the empowering nature of technology, I started dreaming. I had finally accomplished the task fate had set before me as a mother. Both my girls had graduated college, so now the dreams were mine. I dreamed of coming home and starting a business. I dreamed of becoming a job creator. I simply did not want another mother or father to follow in my footsteps and suffer the same pain and anguish of being separated from their families. I now know I was envisioning Business Process Outsourcing (BPO) without even knowing what a BPO was. To make a very long story short, in 2006, I returned home to the Philippines after almost 20 years and founded a BPO in Davao called Mynd Consulting. We started with two people and an old computer offering bug testing and QA services to US clients. Today, my small company runs multiple shifts supplying virtual teams of programmers on a long term basis to clients in both the US and Europe. Now that you know my background, you can appreciate I view business from a very different perspective than most. First and foremost, I see myself as a job creator and secondly, I want to find ways to do both good and good business at the same time. I am also fortunate to have stumbled into the IT-BPO industry in the Philippines. Others talk about our industry and how we are responsible for creating over 800, 000 jobs over the last few years. I have to share with you what that really means to me. To me it means 800,000 mothers, fathers, sons or daughters who will now stay home in the Philippines, instead of being ripped from their families and shipped overseas. I am so proud of the small part I have played in that. I know there are people overseas who see outsourcing as a threat and I wish I could make them understand. The jobs that are outsourced to the Philippines are helping transform a nation. First and foremost, aside from any financial considerations, success has meant fulfilling my dream of becoming a job creator. A goal I set for myself so many years ago in Hong Kong. My company is very small, but the employees I have are working for bosses scattered all over the world, but at the end of the day, my people go home to be with their families. Unless you have been forced to leave your children behind for 20 years, it may be hard to imagine how rewarding that is for me. However, no amount of success in business will erase the 20 years of memories I have as a migrant worker. As a woman, I was not always treated with the respect and dignity we all deserve. No amount of success will erase the stories of abuse I have heard and witnessed. And no amount of success will allow me to forget, at this very moment, there are millions of women who have fallen victim to abusive employers, human trafficking and modern day human slavery. These women are desperately crying out for help, but no one hears them. My small success in business has given me an opportunity to do something about it. 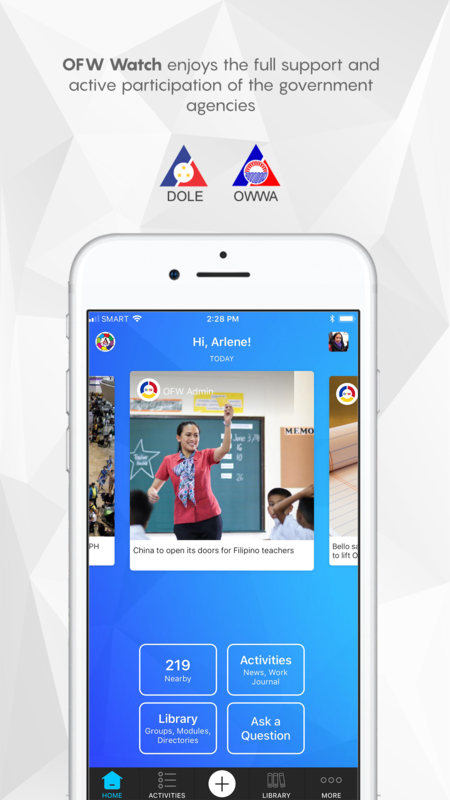 Using the profits from my company, we are funding a project called OFW Watch. It uses social media and mobile technology to empower the most vulnerable women among us to join in the world’s fight against human trafficking and modern day human slavery. There are over 212 million migrant workers worldwide. Over 50 million of these are women employed as domestic workers and nannies. Although millions of these women have disproportionately fallen victim to human trafficking and modern day human slavery, there are millions who are the exact opposite of helpless. Millions of migrant workers have succeeded and have become masters of social media and mobile technology to communicate with family back home. I know for a certainty, if we can reach out to these women and ask them to volunteer to help those less fortunate than themselves, they will do so. I know because we have built such a network and have quietly registered over a thousands volunteers scattered all over the world. When we use technology, combined with community service, to engage these women in the fight against human trafficking, we are helping the women who volunteer every bit as much, as the victims they may save. The very act of the world asking for their help will make them smile and if we can successfully engage them in community service then will have given their lives new meaning that goes beyond the floors they mop or the toilets they clean. Our vision is for the network we create to go beyond the fight against human trafficking. We will learn how to use mobile technology to deliver something so desperately needed. Hope. 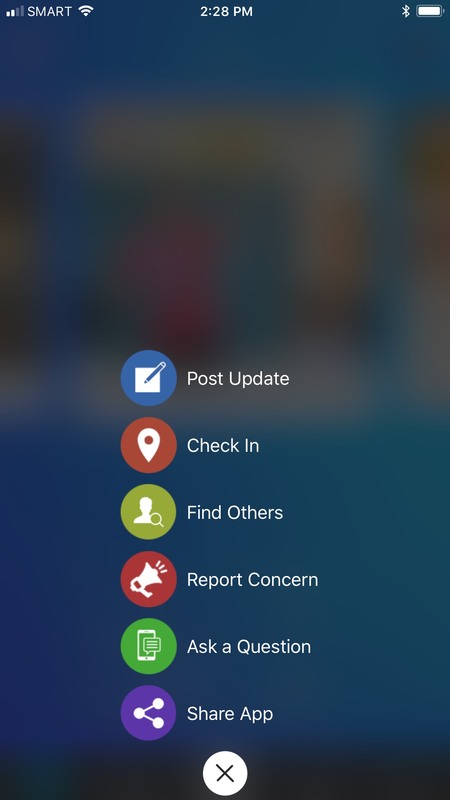 The OFWWatch iOS mobile app is still being approved by Apple. Kindly provide us your email address so that we can notify you when it becomes available on the App Store. *Please provide a valid email.